The Game Boy Advance SP system is 32 bits of power in a housing that's the same width and depth as the original Game Boy Advance, and only half the Length when closed. It's just the right size for slipping into your pocket. Nintendo's Game Boy Advance has a more powerful processor, larger screen and great multiplayer features! Connect four GBA systems at once for a whole new level of multiplayer action! With some games, you can get multiplayer action by sharing only one Game Pak! Nintendo made the GBA screen 50% bigger than Game Boy Color! 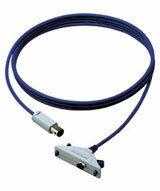 A bigger screen means higher-resolution exploding with more colors. 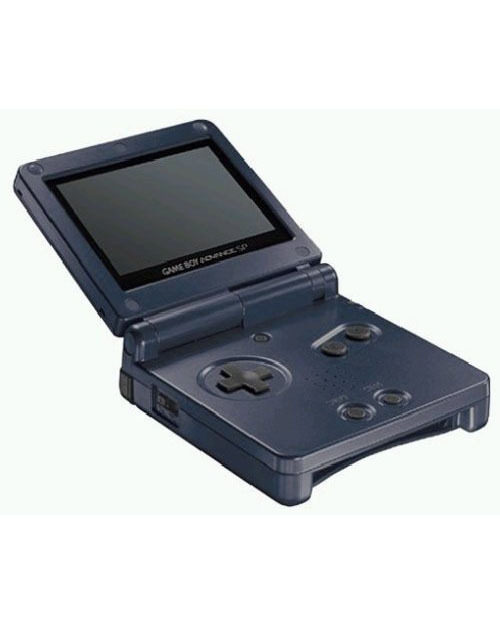 Also, for the first time ever on a Game Boy system, the GBA SP features a front lit screen so you can keep your game going, even in low light or the dark! The light can also be turned off to give you nearly twice the battery life. Gameplay always comes first. 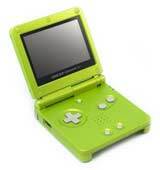 The GBA SP returns to the vertical format previously seen in the older Game Boy Color. 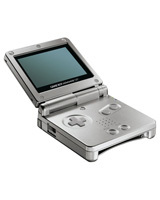 You can play Game Boy Advance SP for ten to eighteen hours on a single charge. That's up to 80% more time than the solid ten hours Game Boy Color offered. Game Paks for GBA are half the size of Game Boy Color Game Paks. When you need to bring it everywhere, the more compact the better. 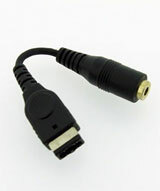 With the NINTENDO GAMECUBE Game Boy Advance Link Cable, players can connect their two favorite game systems for all-new ways to play. While the first games have used the cable to transfer characters between the systems, future possibilities include unlocking hidden features, special mini-game downloads, and even using the Game Boy Advance as a supplementary game screen or input device. Nintendo is launching tons of new games for GBA, but this system already has the biggest game library of any existing system! Your favorite Game Boy and Game Boy Color games can be played on GBA! In addition, Nintendo's GBA has an awesome PCM stereo sound system for the best possible background music and sound effects. Preowned Game Boy Advance SP System: Cleaned & tested and even shrink-wrapped to ensure your satisfaction. Guaranteed 90 days.